Stones like Porphyry create surfaces that forever raise the level of importance and contribute to special placemaking. 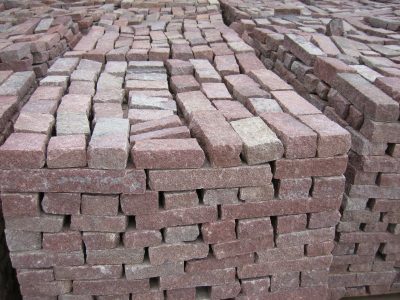 Regardless of porphyry pavers remarkable physical characteristics, it is generally purchased or specified because of its beauty. Designers take heed, Porphyry pavers, especially the Patagonia Storm Gray goes well with the other color of the year. Porphyry stone paving is front and center at the $46 million renovation of Cincinnati's historic Wahington Park. Porphyry has been used as a paving material in the worlds best Public Squares, Boulevards and Streets. 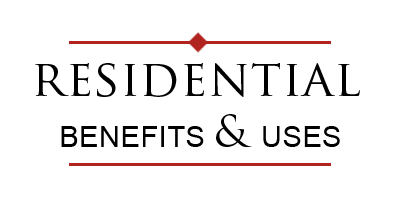 In the new proposed rating system for landscaped sites, Porphyry rates high as a wise material to select for increased rankings. The newest color of the year will wear well with Milestone Imports, Copper Mountain Porphyry. 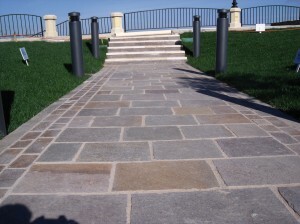 The natural stone paver for driveways and patios. Porphyry stone pavings place in landscape competitions like Manhattans East River Esplanade is a natural. Restoring the Glory Not all porphyry is created equal. There are variations in the quality of porphyry, and the quality of processing.